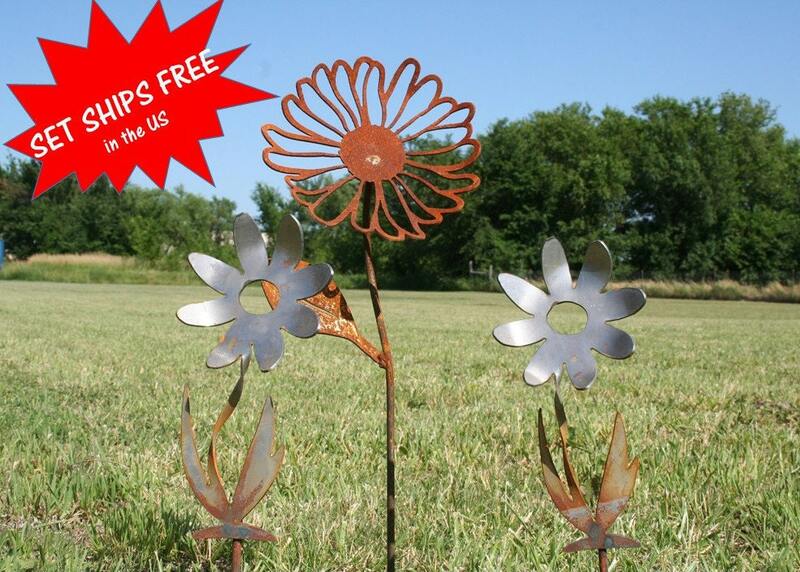 Now your favorite stakes are available as a set! 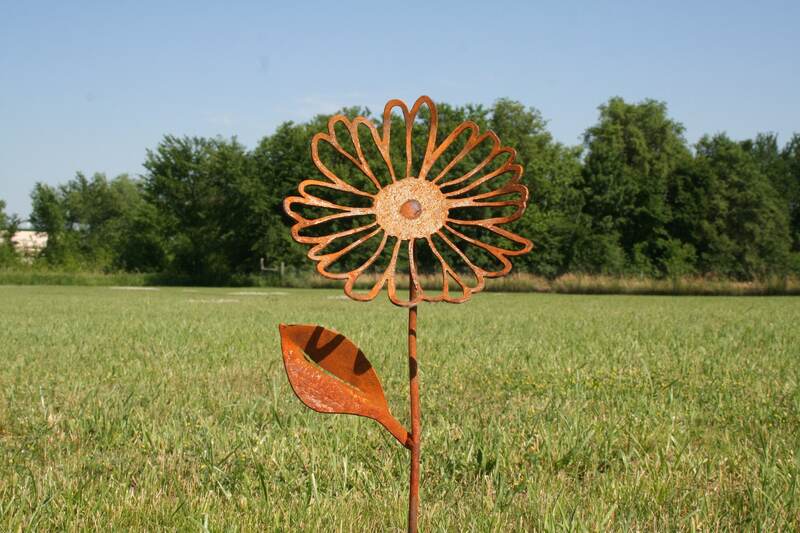 This adorable set of Garden Stakes will add the perfect charm to your planters, raised garden or landscape beds. 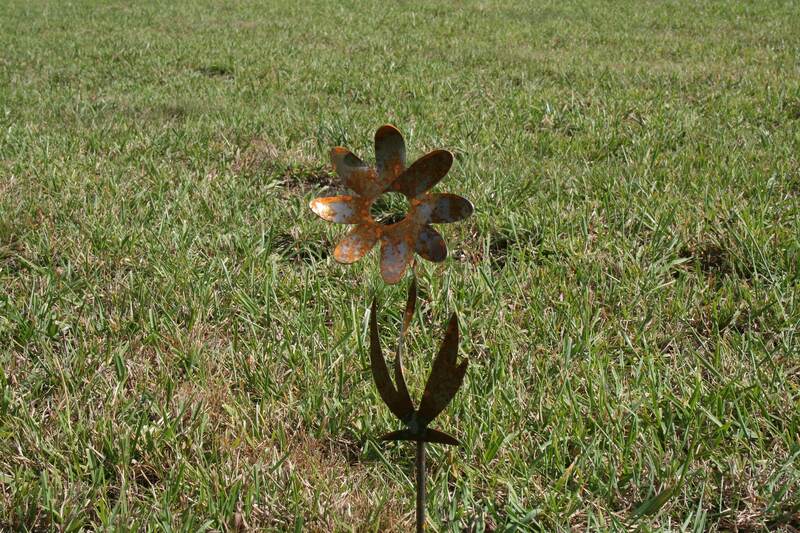 Each stake in the set is cut from steel about as thick as a nickel. 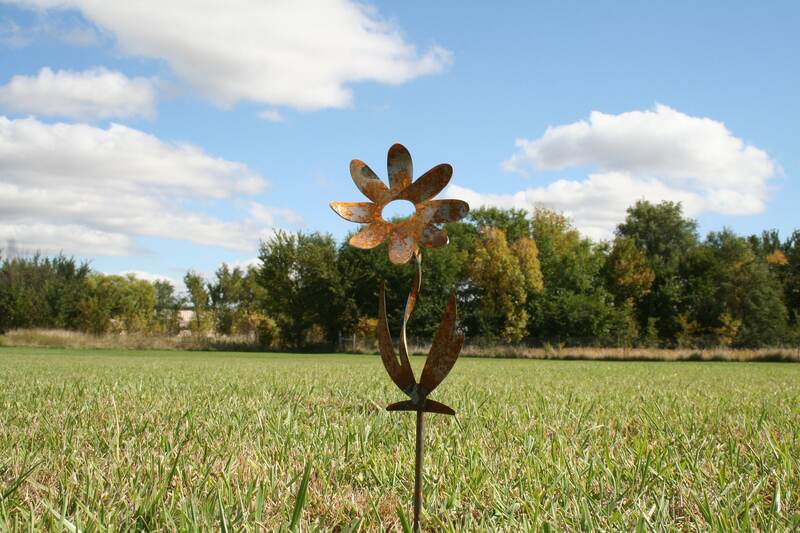 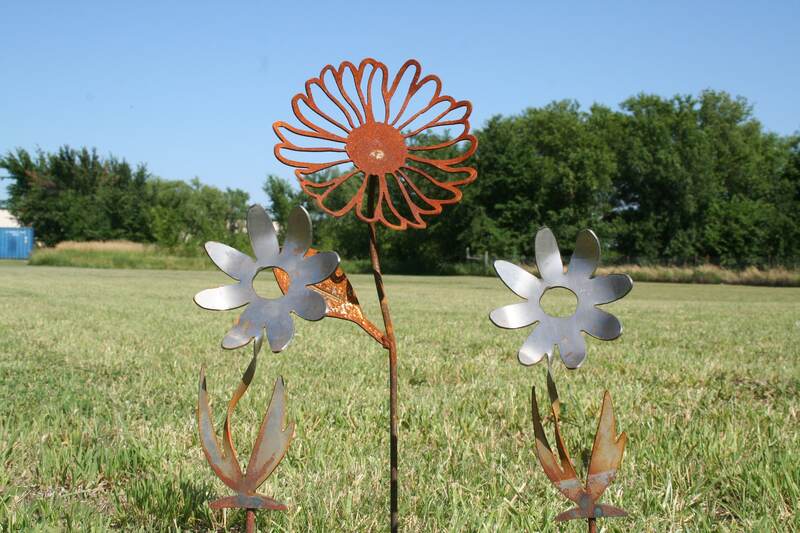 It's then welded onto a steel stake to create a sturdy, long-lasting piece of garden art. 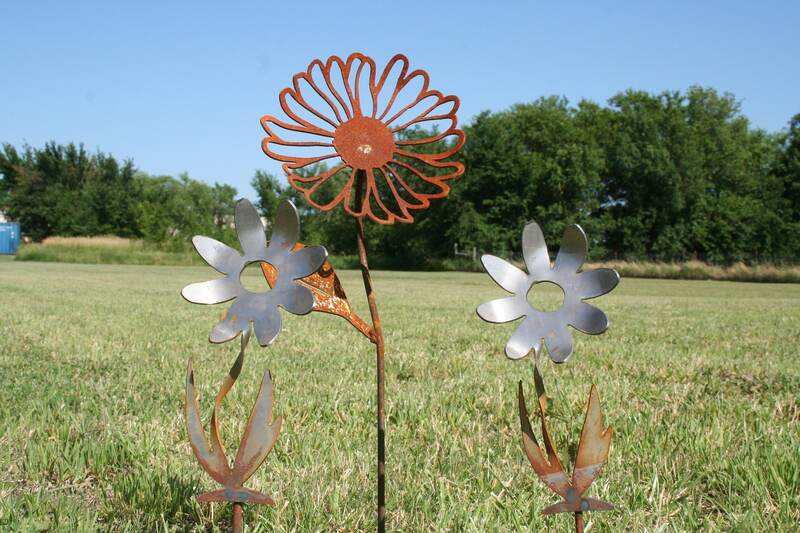 The daisy and two twisty daisies are pre-soaked to begin rusting before shipping. 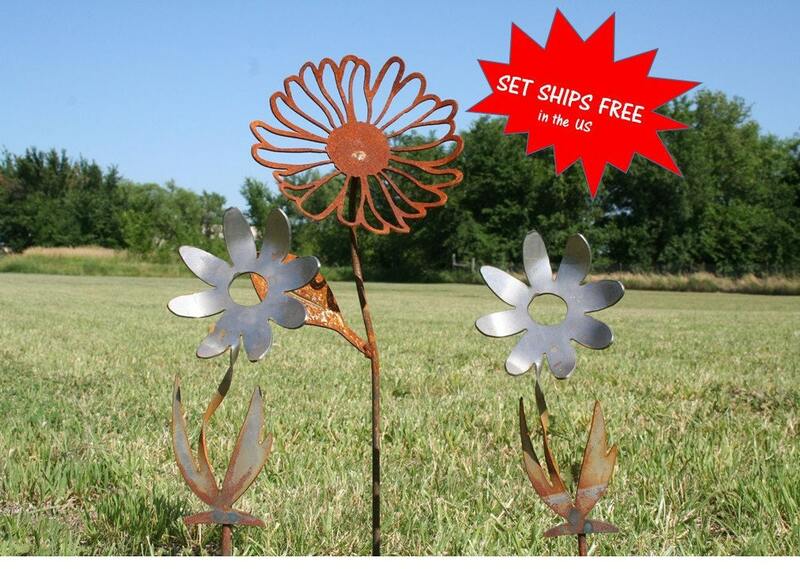 Just as shown, FAST shipping! 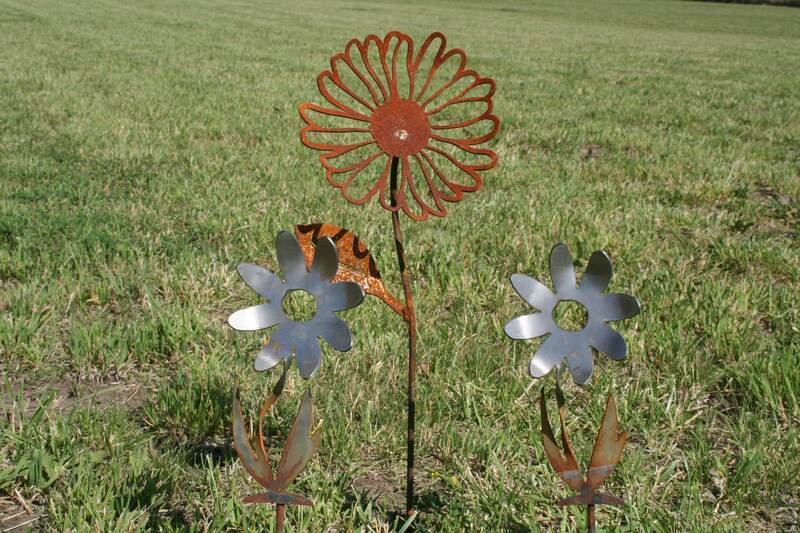 Again, I have a garden of yor metalwork flowers and LOVE them! 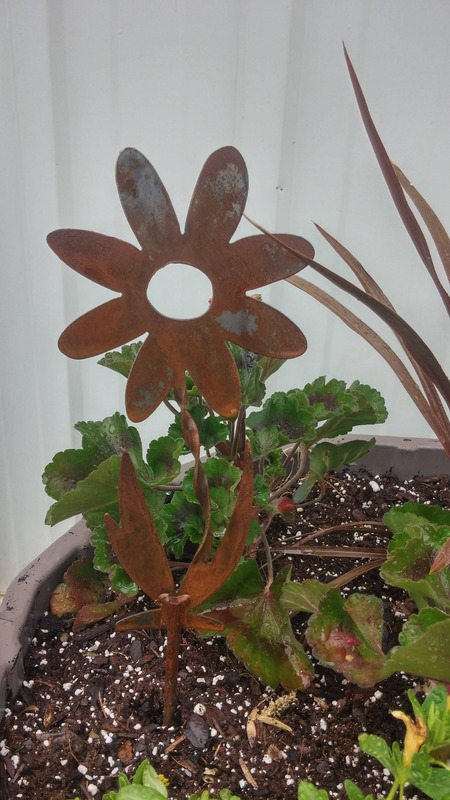 Thanks for a great piece of art!